Since Window 8.0 has been released I thought about switching to Linux due many different reasons, whichever I won’t cover in this article. However, the idea to try Linux was always present and the desire to do so, grew from day to day. Linux was never an option for me. But time did pass and things may have changed. So, today, 18.10.2017 I finally grew some hair to completely uninstall Windows and switch over to a Linux distribution. 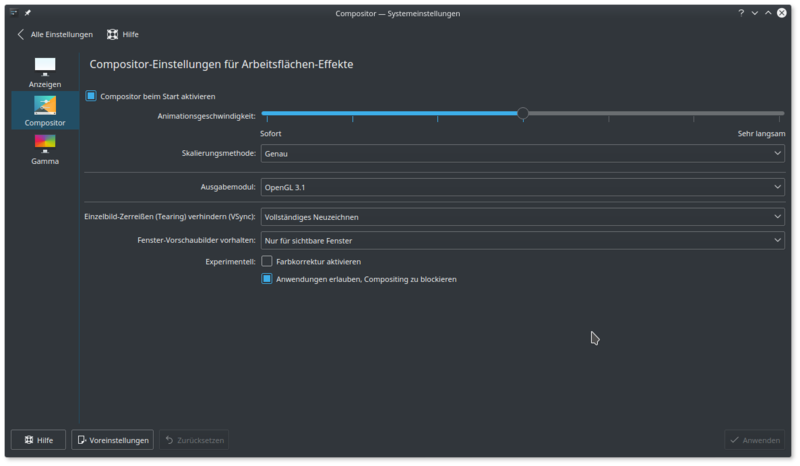 Mint 18.2 KDE Plasma 5.8. This article recapitulates my impressions and difficulties while switching over. Based on possible occurring usage barriers (e.g. : I am not able to complete my daily tasks), the point in time is unknown when I have to switch back to Windows. I am on Linux! The installation was less or more “ok”. I did select “German” as the default language, but still, most items had an english description. Furthermore, the installation window did crop of many labels. The good news: The driver installation was unexpected easy. After a reboot the font behaviour was normal. I will keep that in mind an keep tracking the issue. Razer Chroma Device Support is available for Mint. Even thought it is not running yet. Steam: 58/136 games in my library are available for Linux. Impressive! Since 3 hours I am (trying) to install the most essential software. Office 2013 in PlayOnLinux has many graphical render issues. Installing Thunderbird, accepting several trade-offs. All in all it took me hours for some installations. (And I am not even close to finish) Obviously because of my lacking experience with Linux. However, most installations processes are too circuitous. The package manager does his job, even if the UI leaves a lot to be desired. The Explorer (compared to Windows) has no delays due connected external HDDs or SMB drives. The utilization is, by far, better than on Windows. I do really enjoy the explorer. Mad Max (Steam) performs on Linux as good as on Windows. Hitting “restart” or “shutdown” does nothing. To restart or to shutdown, I do have to wait till the 30sec. countdown reaches the 0. 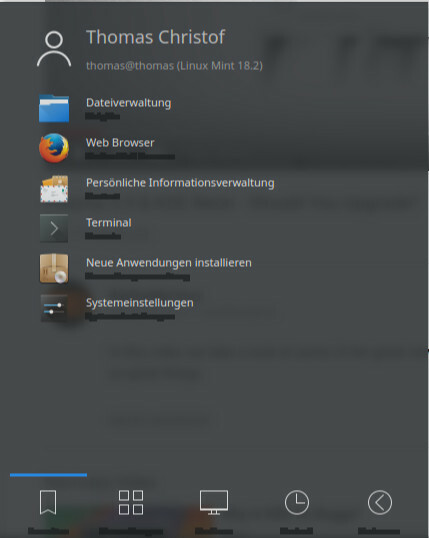 Switched the OS language from German to English, resulting in an inconsistent User Interface. German and English labels are mixed up. Shortcuts can be defined but I would prefer a pre-Command binding. Such as win+r,+e, +c to show up the terminal and the explorer. At this point, I think, I have chosen the wrong desktop environment. 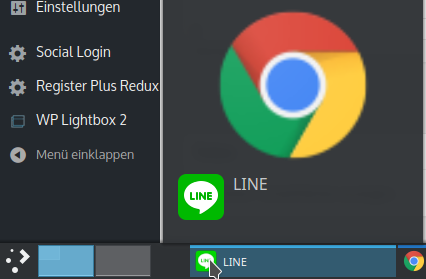 KDE Plasma does not allow me to configure the size of the open applications in the taskbar. Moreover, while hovering an application in the taskbar, a huge icon pops up. The dependencies in the screenshot are already [Found] because I did install them before I thought about a blog post update. 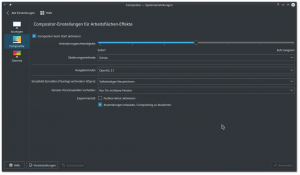 Besides the pre-essentials in the article, another 5 dependencies need to be resolved before I can even install MonoDevelop. After 2 hours the IDE is up and running. But C# 7 is not supported. A huge cutback as a C# developer. My last hope: Visual Studio Code for Linux. Unfortunately only .NET Core is supported. I start enjoying the packet manager philosophy. Adding external repositories, fetching and installing updates is stable and very convenient. UI support is given, although the design is ancient. Switching the outgoing audio interface has to be done in the system settings. OneDrive doesn’t work anymore. A service or OS restart doesn’t help either. 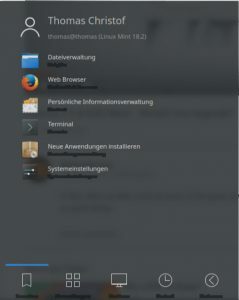 The Font Bug (18.10) started to reoccur. A default global shortcuts accidentally lead to a system reboot without any confirmation dialog. The CPU cooler noise intensity is a way louder than on Windows. It is time to sum things up. I recognized tearing in videos and I am still not able to fix it. Also I did play arround with the Nvidia X Server Settings with no positive result. The Linux community refers me to another Distribution (Ubuntu) in order to fix my technical issue. Besides the fact to switch to another distro, a point in time has been reached to sum things up and switch back to Windows. In order to start this project I invested several hours to find a Linux Distribution and Desktop Environment whichever fits my needs. Hence, my whole experience the last days is based on my decision and things may have been different with another selection. However, due lack of time I am not able to try out every possible combination. While using Linux, especially when installing and configuring software, online articles and installation guides are indispensable. I haven’t read so many tutorials within such a short timespan. I can only assume that normal PC users would have a hard time till their whole software setup is complete. Running a Windows in a Virtual Machine under Linux would solve most of my problems. However, running Windows on Linux would be a contradiction in terms and makes no sense for me. Therefore, today I will switch back to Windows and looking forward to retry Linux in some years again.